The Law Offices of Bukh & Associates are first and foremost Criminal Defense attorneys, however, we provide legal services in other practice areas such as: Civil, Family, and Health Care. It is our goal to aggressively pursue the rights of our clients and service the legal needs of our community. All of our attorneys have been vetted for their understanding and success in both State and Federal court cases. 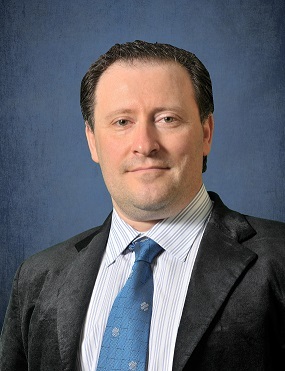 Arkady Bukh set a precedence of excellence within his first years or practice that must be maintained and elevated by the attorneys working at Bukh & Associates. Our firm has an unparalleled record of success with White Collar and Federal crimes, handling cases of international importance and relevance such as that of the UN Oil for Food Bribery scandals that rocked the mid-late 2000's. Arkady Bukh's steering of his client's case led to the prosecution and conviction of UN officials who had been taking bribes in exchange for lucrative UN contracts. US v. Alex Yakovlev, Federal Crime, Yakovlev was a UN worker accused of taking bribes in Oil for Food scandal. Case conclusion date: March 9, 2005. Outcome: Probation. USA v. Nazarov, Criminal Defense, Nazarov was indicted for the criminal possession of 2000lbs of a controlled substance. Outcome: Dismissed. There are certain types of cases where we have a fixed price, primarily in Criminal Defense. New York boutique criminal defense law practice. We deal with high-profile criminal cases in New York and across the nation. Federal crimes, drug crimes, white collar crimes, computer crimes, Fraud. No matter how complex is your case, we will be able to help. Is your firm willing to help a client with one discrete part of a case, without taking on the whole case? We consult on cases all of the time. What are your policies about dividing work within the firm to make the process most cost-effective for the client? How frequently does your firm use mediation, arbitration, or collaborative law to resolve cases? As often as possible. The goal is to not waste tax dollars with an expensive court case if we can resolve it outside of the courtroom. Does your firm provide pro bono legal services or otherwise participate in your community? We do provide pro bono legal services. This is dependent upon the situation, the need, and the implications to the community. We take every case with the belief that we will have a successful outcome and this attitude has propelled us to the current record of successes that have made us so popular with consumer opinion sites. The attorney's at Bukh & Associates love the really tough cases. We enjoy trying to figure out how to "win" what is deemed "unwinnable". Clients should always acquaint themselves with the legal issues surrounding their case, as well as, their constitutionally protected rights. An educated client is a satisfied client. We absolutely will review documents prepared by clients. Our relationship with our clients is truly a partnership. It would depend upon the client and the complexity of the case.